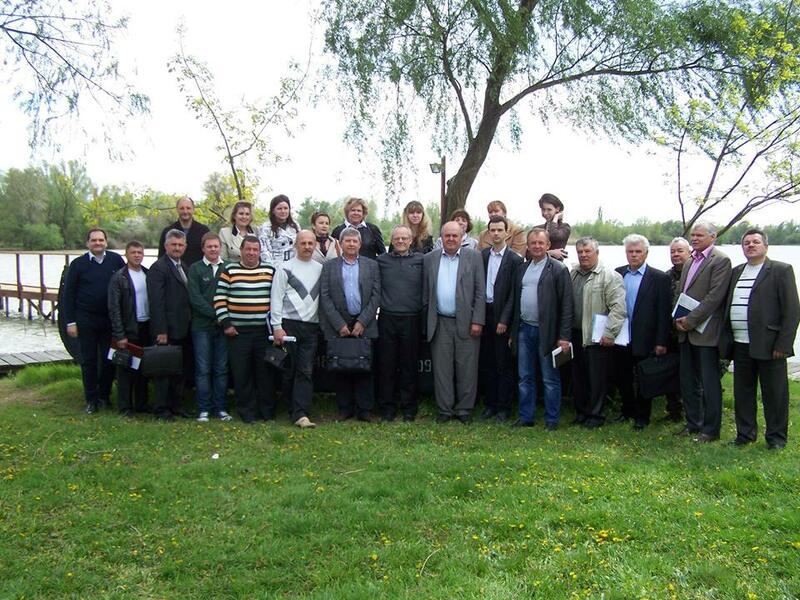 On 17-23 May 2009 the Ukrainian delegation gathering representatives of the organisations responsible for water management in the Ukrainian Danube region visited Romania within the project "Improving cross-border cooperation in integrated management of water resources in the Lower Danube Euroregion". The trip involved representatives from the State Committee of Ukraine for Water Management, Odessa Regional Water Management Department, Danube River Basin Management Department, Danube Hydrometeorological Observatory and the Centre for Regional Studies. The visit was aimed at sharing the Romanian experience in integrated management of water resources and building closer cooperation between Ukrainian and Romanian public authorities involved in the management of water resources and environmental protection in the Danube delta. The Ukrainian delegates visited the Danube Delta Biosphere Reserve Authority (DDBRA), Danube Delta National Institute for Research and Development, Dobrogea-Litoral Water Directorate. As a part of the visit the project and its contribution to the development of the joint water monitoring system were presented to Romanian media at the press-conference hosted by Tulcea County Council. The participation of the Ukrainian delegates in the final conference within the project on restoration of the polder “Zagen”, Romania was also a valuable part of the study visit. The conference was arranged and hosted by DDBRA. Looking at the future Romanian and Ukrainian partners discussed further activities and funding opportunities, in particular, potential joint projects within the Join Operational Programme “Romania – Ukraine – Republic of Moldova”.